Matchsafes came into being when wooden friction matches were invented in the middle of the nineteenth century, and were widely used until the 1930s, when safety matches, matchbooks, and gas-powered lighters became more popular. 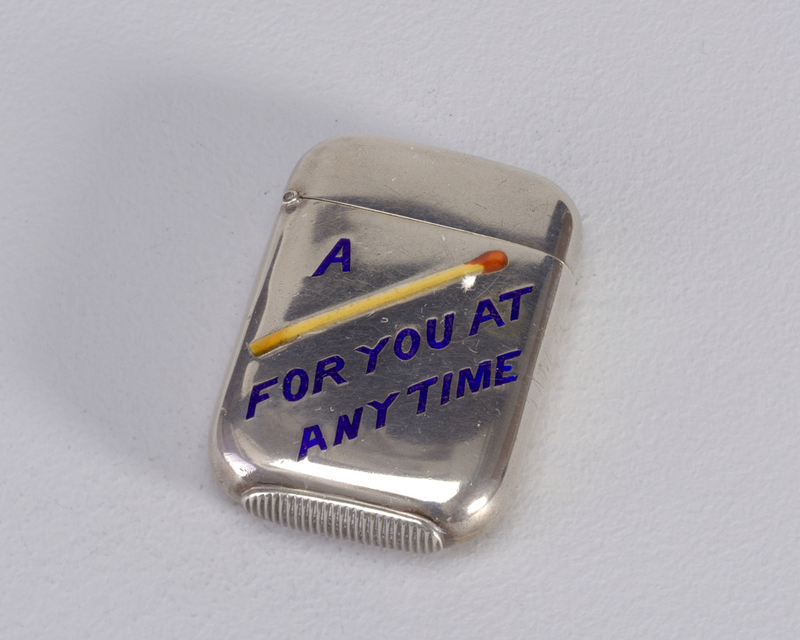 Early friction matches were somewhat unreliable, highly combustible and could light spontaneously in a pocket. In order to protect them from moisture and carry them safely, a closed container was needed to reduce friction. Matchsafes, the protective and decorative boxes that housed matches for personal use, are a great example of design responding to technological innovations (matches), and the human needs that may arise as a result of these innovations. An astounding variety of matchsafe designs were produced, and thousands of designs are documented representing a range of shapes, materials, production processes, and decoration.